They look better in real life than here - contact me for a sample if you are interested. Lower is an outer fabric and upper 3 are linings. 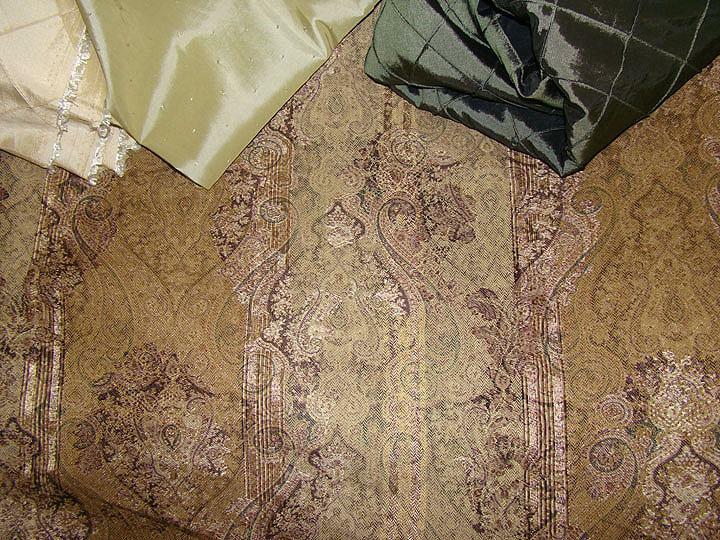 All are upholstery grade fabrics, and must be dry cleaned or gently spot cleaned.